It’s absolutely free and easy to set up a business page for your small business, so you just need to invest your time. You will need to be committed and upload regularly to reach and build an audience, as consistency is key in succeeding on social media. 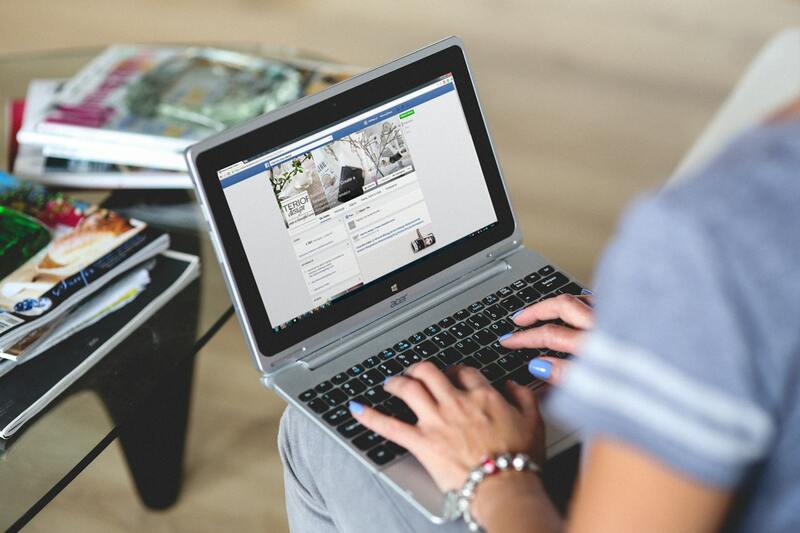 Here is how to set up your Facebook business page, and how you can start increasing the reach of your business for free. To set up a Facebook business page, you will need to create a normal Facebook profile. Even if you already have a personal Facebook account, it’s advised that you create a new Facebook profile for your business page so you can keep them separate. This will mean you can give access of the business page to your employees; without having to share details of your private account. Creating a personal Facebook profile is easy and you only need to give some basic details such as email address, name, and age to create one. Once you have created a new Facebook profile, you will have access to create a Facebook business page. Once your personal page is set up, go to the page section by clicking ‘Pages’ in the left-hand navigation. Then select the ‘create a page’ button at the top. This will give you options of different kind of pages you can create. For example they could be based on a local business or place or an artist or public figure. Once you have selected the local business option, you will need to provide further details. You will be asked to fill in fields such as address, business name etc. When you have finished filling in this data, your page is set up and ready to go. Once you have a business page, you can personalise it to your business and make it appealing to an audience. You should have already set your business name as your page name, then you will have the opportunity to give a little description of your business. You will also need to add a profile picture, which should be your business logo. For your cover photo, consider adding a picture of a recent marketing scheme or a recent event. Make sure to keep your business brand in mind when setting the photos on your profile, as they should correlate to help build a strong, recognisable business brand. A Facebook page will allow you to add in business details that will help your prospective customers find you. For example, you can put your address, contact details and opening hours of your business in order to make it easier for your potential customers. These basics will also help build your Facebook page and make it look professional. Your Facebook page allows you to access the insight and analytics of your page too, some of data you will be able to see includes: likes, reach of your page and posts, page views and followers. You can also see how well each individual post has done, in terms of its reach and engagement. You can then take this data and information to shape the type of content you will produce in the future. Promote your Facebook page. Share your page on your personal Facebook profile and encourage friends and family to like and share the page. Tell people about your page in person as this could also help build up the initial following. Add a Facebook widget to your website, allowing your audience to find you on social media. Additionally, you might want to also let your customers know about your presence on social media via email or another social platform. Encourage them to support your page by liking, commenting and reviewing your products or services. Make sure that you actively promote your social media in order to really build a strong following. You need to make sure to produce quality, engaging content for your Facebook page. This can sometimes be difficult, depending on the type of business you are running. However, you need to spend some time researching and creating content that will genuinely promote your business, and help you engage with your follower base. For example, if you run a coffee shop, you could put a quote of the day that has something to do with coffee. This won’t be ground-breaking in attracting customers to your business, but over time it’s build an image of you and your business. Some other content ideas for your business Facebook page are: inspirational quotes, seasonal posts, expert tips, personal posts and blog post excerpts (If you are a blogger, or your business has a blog, then make sure to share that on your social media too). Make sure you always engage with your audience as this will help boost your page and content. Make your followers feel valued and take time to answer any questions and comments. More on social media and growing your business here.